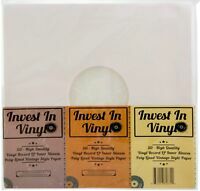 50 POLY RECORD LP OUTER SLEEVES 3 MIL THICK FOR 12" 33 RPM FAST SHIPPING! I appreciate the fast shipping. A real honest man to deal with! It couldn't have been a better transaction! great and responsive seller. I recommend everyone to work with him. Great price and item! Thank you for the very fast shipping also! Great Seller! 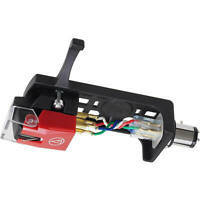 Cassette head cleaner is outstanding. Only problem, and it WASN'T with the head cleaner.....but while waiting for the cleaner to arrive, my cassette player took a nose dive. 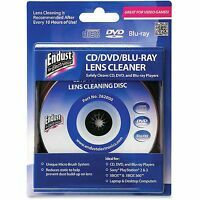 So now I have a great new cleaner and no tape player. Murphy's Law, huh? best value and performance for the money! 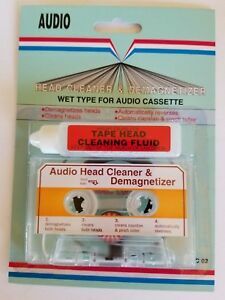 This cleaner/demagnetizer cassette has been a god-send for all of my tape decks! No more muffled highs and jittery recording! Restores tape deck to like-new performance! A must have! just bought a 21 yr. old car,didn't know if distortion was tape,or player. after cleaning,sounds brand new! Very easy to use. Cleaned my deck very well! You have to poke the cleaning fluid bottle with something sharp fyi.